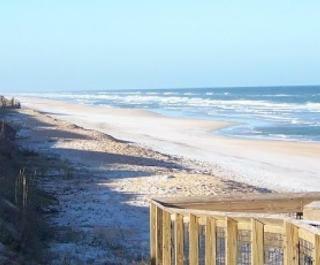 More than two miles of beautiful, unspoiled Atlantic beaches beckon visitors to this park. Across State Road A1A, this Florida haven shelters rare creatures such as Florida Scrub Jays, indigo snakes, and gopher tortoises.Visitors can spend the afternoon swimming, sunning at the beach, or surf fishing. Bird-watchers will enjoy spotting the native and migratory species.